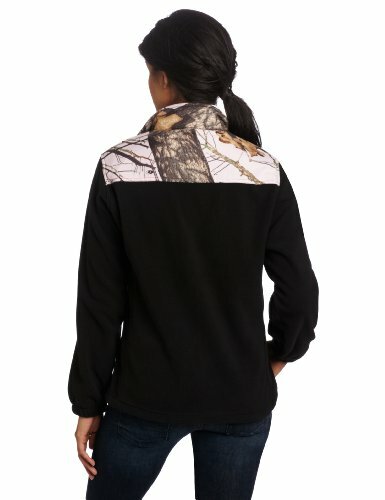 This womens black fleece is accented with Infinity camo by Mossy Oak. 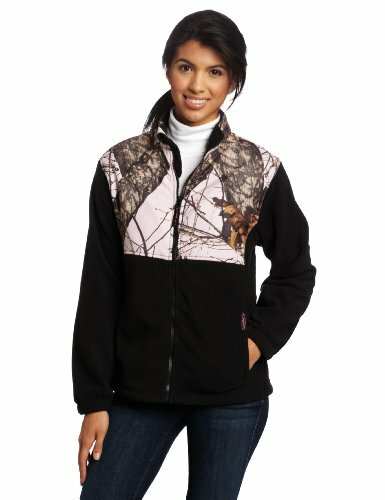 Features a full front zip and two side pockets. Warm and fashionable.